Ending a heated conversation with your child can be tricky. The next time you are in this situation, ask yourself: Have I made my point? What would happen if I ended the conversation and walked away? Kids are masters at keeping an argument going. Walking away from the discussion and letting them have the last word is hard to do! But here’s why you might consider ending the argument. When you end the argument and walk away, you are sending a clear message that this discussion is over and continuing to argue isn’t going to change the rules. You take the power with you when you go. There is a very strong natural instinct to keep responding to your child when he is arguing with you. But if you’ve reached a place where you believe you have made your point and there is nothing else to discuss, consider ending the conversation there. If you decide to do this, try saying something like, “I don’t want to argue anymore. 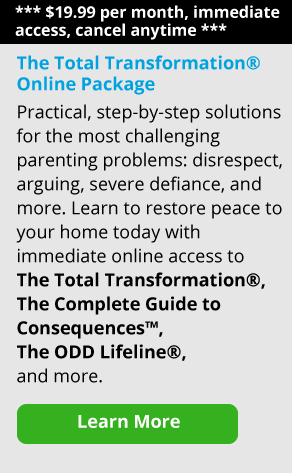 Let’s talk about this later when we’re both calm.” If your child keeps arguing, you can choose to show him that the conversation is over by not responding after you’ve set that limit. For more tools on how to walk away from an argument, this article by Janet Lehman is a great resource: Why You Can’t Really “Win” an Argument with Your Child. Letting your kids have the last word can be a great way of disconnecting from a power struggle. It takes some practice, though! If you choose to give this a try, let us know how it works for you! 4. 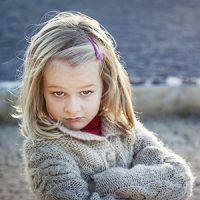 Difficult Child Behavior: Where Do You Begin?